Our Deals Store currently has The Universal Hands-Free Car Kit on sale for 61% off at $19, which includes free shipping to Canada and beyond. The offer is on its last legs and will end soon, for those looking to connect their iPhone or iPod to their car and don’t have a CD player or AUX jack. If this is you, then forget the boring radio on your commutes–start listening to your iPod or online music streaming from Songza and more. 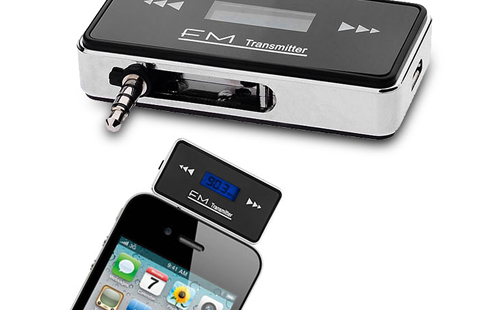 The unit connects to your device’s 3.5mm headphone jack which then allows you to tune into your iPhone or iPod via FM radio. You’ll also be able to talk hands free with sound coming from your car’s stereo speakers! 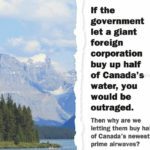 Free shipping has also been extended to more countries: United States, Australia, Austria, Belgium, Brazil, Bulgaria, Canada, Croatia, Cyprus, Czech Republic, Denmark, Estonia, Germany, Greece, Finland, France, Hong Kong, Hungary, India, Ireland, Israel, Italy, Japan, Latvia, Lithuania, Luxembourg, Malaysia, Malta, Mexico, The Netherlands, New Zealand, Poland, Portugal, Romania, Russia, Singapore, Slovakia, Slovenia, South Africa, South Korea, Spain, Sweden, Switzerland, Taiwan, Turkey, Ukraine, United Arab Emirates, and United Kingdom. 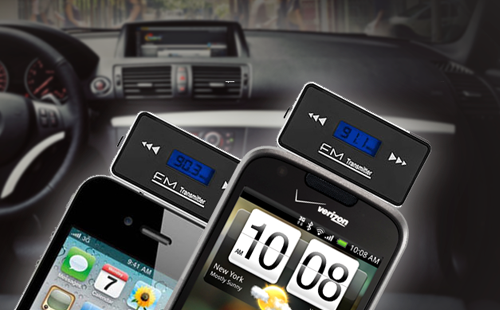 Click here to jump on The Universal Hands-Free Car Kit before it’s gone!